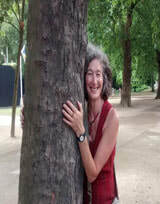 Amanda has more than 40 years experience of yoga practise and has studied extensively in both India and the UK. Amanda has been teaching yoga in Gloucestershire since 2003. She completed in excess of 1000 hours training with Ranju Roy and Paul Harvey through The Centre for Yoga Studies (formerly Viniyoga Britain). This extensive training qualifies her to teach groups, specialise in individual teaching and the therapeutic application of Yoga for individuals. It is accredited by the Association of Yoga Studies, The British Wheel of Yoga and the European Union of Yoga Federations. Amanda is also accredited by the Complementary and Natural Healthcare Council, the UK’s national register for complementary healthcare practitioners. Amanda’s teaching respects the traditions of T.K.V. Desikachar and his father Krishnamarcharya. The hallmark of this tradition is the wise application (Vini) of yoga, appropriate to the person and their situation. In addition, Amanda has deepened her appreciation of this approach to teaching by studying with the Desikachar family, Mohan family, Sadhana Mala, Ramaswami and Peter Hersnack. More recently Amanda has studied/undertaken training in Yoga for Pregnancy with Vivien Tallis a highly respected Active Birth Teacher. Amanda holds a Sivananda Yoga Vedanta Organisation teaching qualification. Amanda also has over 30 years experience working in social care. Here she specialised in counselling and therapeutic work with young carers and families affected by domestic violence. She has developed and delivered Workshops, Conferences, Presentations, and training events.